The market for fitness trackers for kids has grown rapidly and so although you may fall into the trap of thinking that they are all going to offer the same functions, then think again. The range of functionality, and budget now almost matches the full-grown market. So finding the right model at the right budget can be just as much of a minefield. Currently there are around a dozen new models of tracker or watch being released to the market each month, lots of them sporting many unique (sometimes) brand owned features, some of which you may not have heard of before. So randomly choosing any tracker or watch based solely around the ‘for kids,’ label could leave you very wide of the mark and shooting down a very adult rabbit-hole. The following list is anything but exhaustive, rather it is meant as a guide as to what is available on the market from a relatively budget basis, through to the mainstream suppliers. As I said the list is only meant as a snapshot of what is here right now, but the market is now moving so quickly that prices and functions may change very quickly. The same parameters that you would use in choosing your next watch or tracker are now very much relevant in the kids sector. It would be helpful to designate which is most important to you, build and quality of materials, or functions. If you are not prepared to compromise on either, then you are going to be forced into the medium/high-end price bracket and the usual suspects as far as manufacturer is concerned. However if you are not brand driven and functionality is your premium concern then i would strongly suggest looking towards some of the China manufacturers as their compromise on quality is much less obvious on their higher end products and yet they remain priced significantly below the mainstream brands. The prices being quoted from the lower end of mid-range, downwards are now significantly lower than even 18 months ago and so it is important to establish what exactly you are buying because it can be easy to buy what basically is of little use but that of a toy, when trying to purchase a serious monitoring device that is now extremely close to medical grade equipment. If you are trying to encourage your youngster to start to take care of their own outcomes and be responsible for their own fitness then it is important that the tools that you provide them give them a reasonably accurate measure of that. This I know starts to seem like a daunting proposition to the conscientious parent or guardian. Fear not there is one relatively fool proof method of sorting the wheat from the chaff. If purchasing online then within the description should be the indicators we have all started to get accustomed to such as IP67 ratings. There should also be some indication of the guarantee. If you are purchasing in person it is as simple as asking to see the written manufacturers guarantee. The reasoning behind this is simple, the cost of components at toy grade is now so insignificant that there is little, or even no reason to provide a guarantee. Where as for the even for the lower budget end manufacturer in the tracker market the reliability and accuracy of their components is something worthwhile providing a guarantee for. And every manufacturer in this sector is currently trying to build a reputation for reliability as the scope for this sector into the future is immense. FITNESS TRACKER SMART WATCH FOR KIDS gift set includes Activity Tracker for Kids or Family, Reward Chart and Charger. The Tracker Kids Smartwatch features a slim design in 0.86 inches OLED HD display and a soft band that is adjustable to fit everyone in your family, suitable for the smallest wrist to adult sizes. 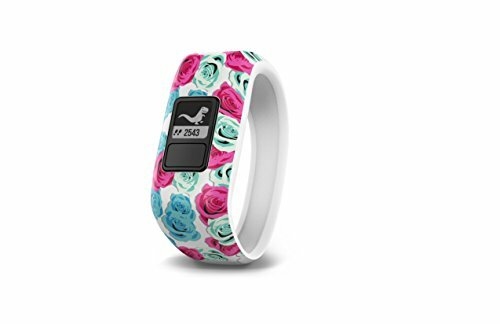 Pick your Fitness Watch today and get 1 FREE wristband in Blue, Pink, Purple or Teal,. You can match your new sport fitness gadget to your sports outfit or mood. 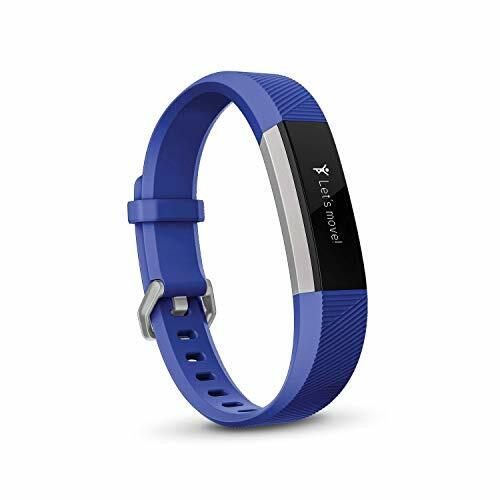 WATERPROOF KIDS ACTIVITY TRACKER in BLUE features powerful functions that are automatically synced via Bluetooth with Android phone or iPhone or tablet via app Veryfit 2.0 or VeryFit Pro. Features: Sleep Monitor, Steps, Calorie Counter Wristband, Calorie Monitor, Pedometer, Exercise, Sedentary Reminder, Social Media (Facebook, Twitter, WhatsApp) Notification, Call Reminder, SMS Text, Digital Camera Remote, Stopwatch, Find Your Phone, Silent Alarm Clock for Kids. ACTIVITY TRACKER DEVICE FOR KIDS promotes workout exercise and healthy lifestyle, healthy sleep habits, fitness, and exercise activities for the whole family. The Tracker is best to be used with a healthy diet, weight loss products, and activities. The Deluxe Gifts Pack also includes a Family Reward Chart Poster that will provide a visual encouragement to you and your family. You can now set your goals and see how you IMPROVE WITH EACH STEP, on the way to a HEALTHIER, MORE ACTIVE – YOU! 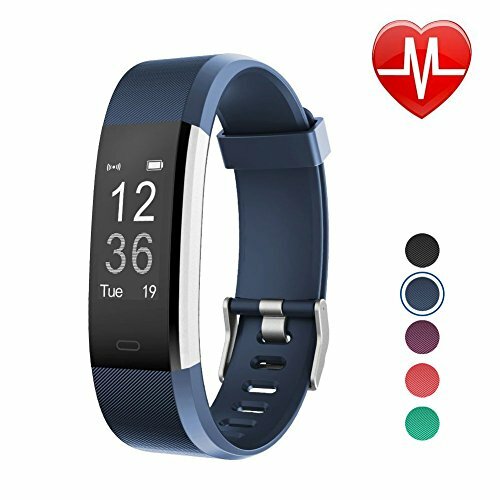 Whether you are looking to get the Fitness Tracker Bracelet for yourself or for someone special you care about as a gift, you won’t regret it. Get a discount on multiple units and GET FIT TOGETHER with your whole Family, Children ( boys and girls ) parents and even Grandparents / elderly Seniors. You can use the Family Reward Chart to monitor and compete for the number of walking steps. Create challenges with your friends and family, have common activities together. EVERYONE WINS as a result! ENJOY THE SIMPLICITY AND RELIABILITY! Family Fitness Tracker Exercise Bands are adjustable, feature a built-in USB charge. So, no more messy cables! In addition to the User Manual, you will also get a User Guide with Q&A and Cool Tips via email. We have also created a Kids Friendly Quick Start video for you. With our support, you will be able to start monitoring your daily activities using this Tracking Device for Kids and Veryfit wireless application in no time! START A HEALTHIER LIFE NOW! APP Supported: Use it with our customized “VeryFitPro” app on your smartphone for detailed exercise data and more functions; please scan the QR code in the user manual to download the “VeryFitPro” app. Built-in USB Plug: Built-in USB plug make it easy to charge with any USB block and computer; no charging cable and dock needed; one single charge gives you up to 7 days of battery life. Our site is directed and driven by feedback, so please let us know what you think in the comments below. This fitness tracker would allow the kids to be health conscious. With this kind of smart watches they can monitor the health and most loving is some are android compatible with a lasting battery life. Also waterproof which means can also be worn swimming. How do I get my hands on one for my siblings? Hi thanks for taking the time to read my article and to comment. For your information if you click on the headings next to the picture of the tracker that you are interested in then you should be taken to the latest best price available for purchase. This was a very in depth guide of all the smart watches that are available on the market. I enjoyed seeing all the different types of smart watches and how they can help enhance our lives. Can you give us your opinion on what you think the most useful smart watch is and which one you recommend to purchase? Thank you for taking the time to read my article and for your kind words. As to what to recommend, that is really difficult without knowing your lifestyle and expectations. Hence the reason that i am leaving as many reviews as possible on what i consider to be viable options to suit most budgets and capabilities. All of the watches that i review and comment on are what i consider to provide a reasonable performance in each of those requirements. I will only give negative information to anyone who asks me about a particular specific model that they are considering and which I have had poor experience. Currently I am using a Suunto, which is a fairly high-end item. The fitness tracker is really amazing to have. It is very useful to check our steps and pulse rate. I think it will be useful for the children as well, and they will definitely love to have it. 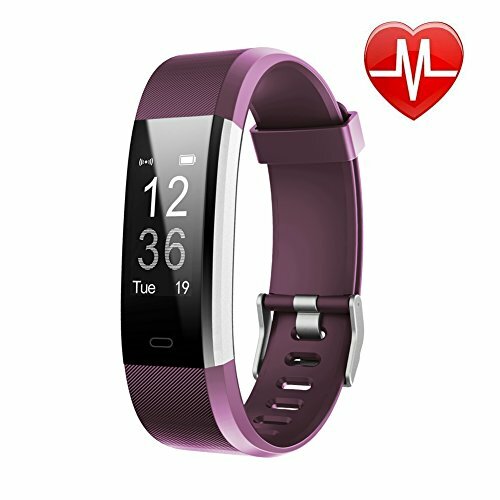 From the five products you have collected here, I prefer the two fitness tracker HR from Letscom with waterproof and heart rate monitor facilities. I think I will choose one of these. Thanks a lot for sharing this post.